What is the purpose of the LA Express Park™ program? The purpose of the program is to use technology to increase the availability of limited parking spaces, reduce traffic congestion and air pollution, and encourage the use of alternative modes of transportation. Where is the program area? The program area is a 4.5-square-mile area in downtown, bounded by the 10 and 110 freeways, Alameda Street and Adams Boulevard. View area map. Will the fines for parking change as a result of LA Express Park™? No. Parking fines are set by ordinances passed by the City Council. LA Express Park™ has no authority to either raise or lower parking fines. How will LADOT decide when meter rates should change? A key component of LA Express Park™ is use of demand based pricing. Demand-based pricing attempts to set the cost of parking in relation to demand. Using the demand-based pricing strategy, meter rates increase when and where demand is highest while maintaining lower hourly rates in areas with less demand. LADOT will use information provided by in-ground vehicle detection sensors, along with rate, time limit and operating hour information from smart parking meters, to analyze demand for parking and adjust rates as appropriate. Any rate increase in the program area, however, shall be reasonable. Will the parking time limits change? In many areas, yes, that is a possibility. Parking behavior is a function of many things, including rates, hours of enforcement, and time limits. In order to achieve the goals of the LA Express Park™ program, it is important to consider all three of these components. LADOT has evaluated the time limits in all LA Express Park™ zones and has increased the limits at many spaces in the program area. Will LADOT put meters in areas that do not have meters today as a result? While installation and removal of meters are part of the normal parking management process in any large municipal parking system, at this time there are no plans to add or remove any meters as part of the LA Express Park™ in downtown. Will the hours of operation for parking be extended? The City of Los Angeles is constantly evaluating the parking situation in the downtown area. This includes hours of operation, length of time allowed and rates. Can I park in a space with a broken meter? If the meter is unable to accept both coins and credit cards, you may park at the meter without paying and will not receive a ticket. However, if the meter does accept coins while the credit card mechanism is broken, or credit cards while the coin mechanism is broken, you must pay using the working payment method or will be subject to ticketing. When parking at a broken meter, you will still be subject to the posted time limit. Staying beyond the posted time limit may result in a ticket. 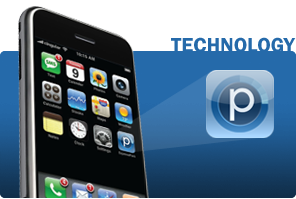 What Smartphone applications are used in the program and how do they work? Because the information and data from LA Express Park™ is be available to anyone, a variety of useful and innovative applications have been, and will be, developed. 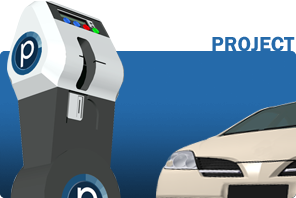 Currently, the Parker™ and Parkme™ applications provide information to guide users to available parking spaces, and the Parkmobile™ pay by phone application allows customers to pay for parking at selected spaces in the program area using a cell phone. These apps are available to anyone and can be downloaded for free. Do smart phone apps like this advocate texting and driving? No. The Parker™ and ParkMe™ services act like a map app, similar to in-vehicle navigation systems. The apps do not involve texting or interacting with the device while the car is in motion. The apps can be used at the start of one’s trip and by passengers, and all of the interactive features – such as paying for parking, setting a timer to remind you when your meter has expired, or placing a pin on the map to remind you where you’ve parked – are functions used once a motorist has parked. 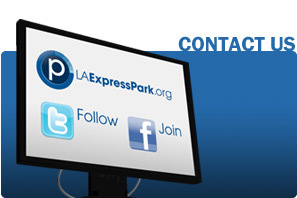 How will LA Express Park™ benefit people who can’t afford smart phones or credit cards? Is the LA Express Park™ project just another excuse for the City to raise more revenue? No. Revenue was not a consideration in the decision to proceed with the LA Express Park™ program. In fact, in many areas the rates have been reduced to encourage parking at underutilized areas. Prior to the start of the program the average rate for all parking meters in the program area was $1.95 per hour. Currently the average rate in the program area is $1.76 per hour. Has any other City ever done anything like this? There is a similar project in San Francisco, SFpark. There are also projects that use some, but not all of the components of LA Express Park™, such as Park Indy in Indianapolis. LA Express Park™, however, has several features, including parking guidance through the 511 interactive voice recognition phone system and on-street parking guidance signs, that are unique to Los Angeles. How successful has the program been to date? LA Express Park™, a component of the Los Angeles Congestion Reduction Demonstration, started as a one-year pilot program created with $15 million grant from the U.S. Department of Transportation and $3.5 million in city funds. While a more comprehensive evaluation of the program is being performed by a consultant, results have thus far shown improvements in the utilization of parking resources downtown. Now that LA Express Park™ has proven to be successful, what’s next for parking in LA? 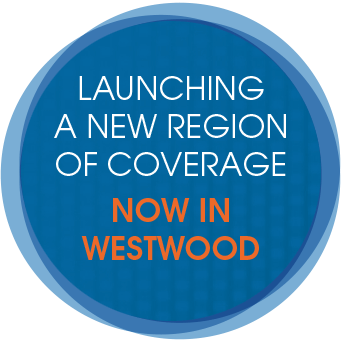 LA Express Park™ is expanding into Westwood Village beginning in Summer 2014 and Hollywood in 2015. Occupancy sensors, smart meters, and wayfinding will be installed in these areas to making finding parking easier and reduce congestion caused by vehicles searching for parking. LADOT is using the lessons learned and tools developed during the demonstration period to influence parking management decisions and improve the overall efficiency parking operations in the City of Los Angeles.